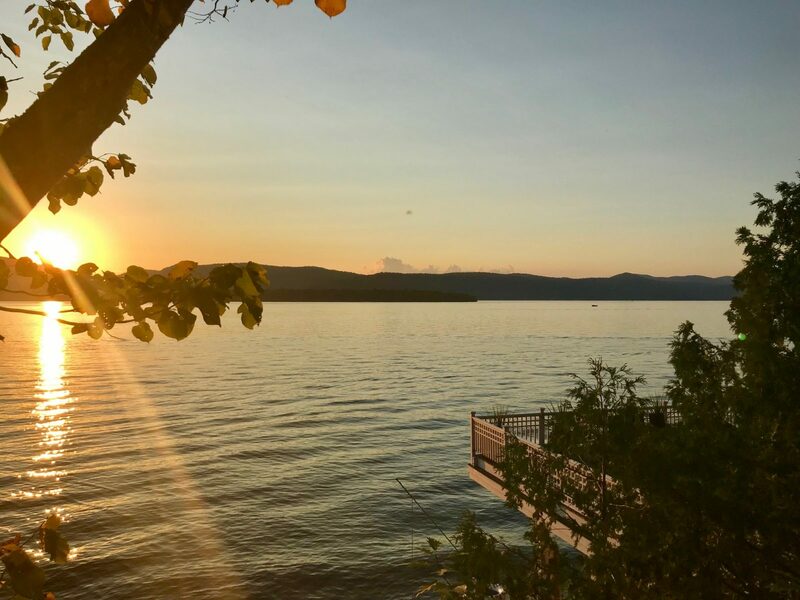 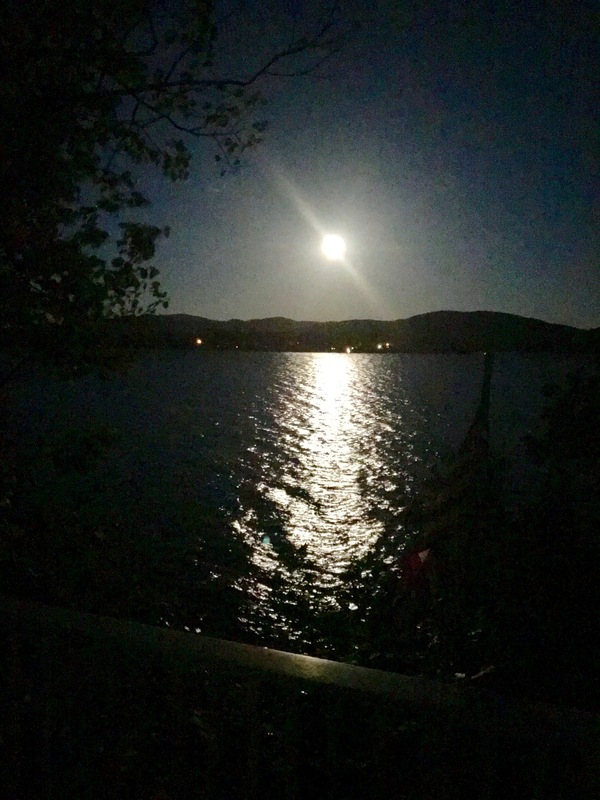 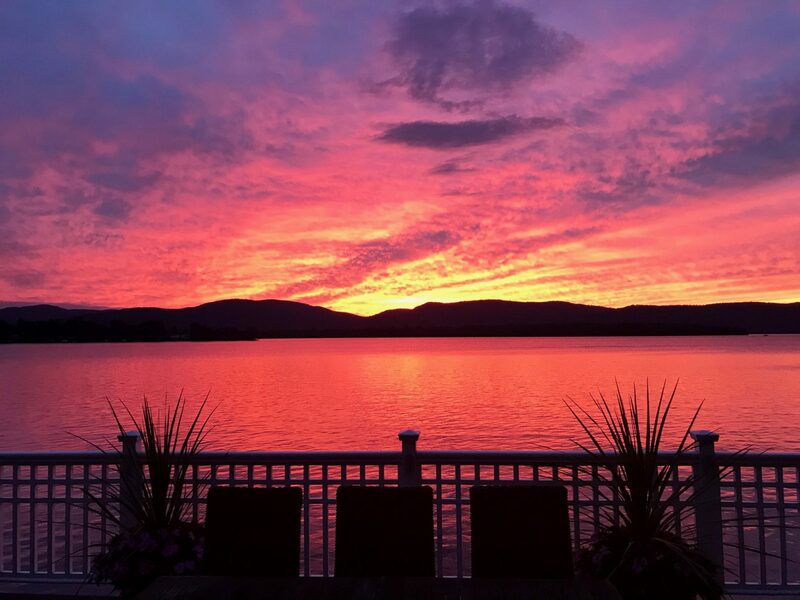 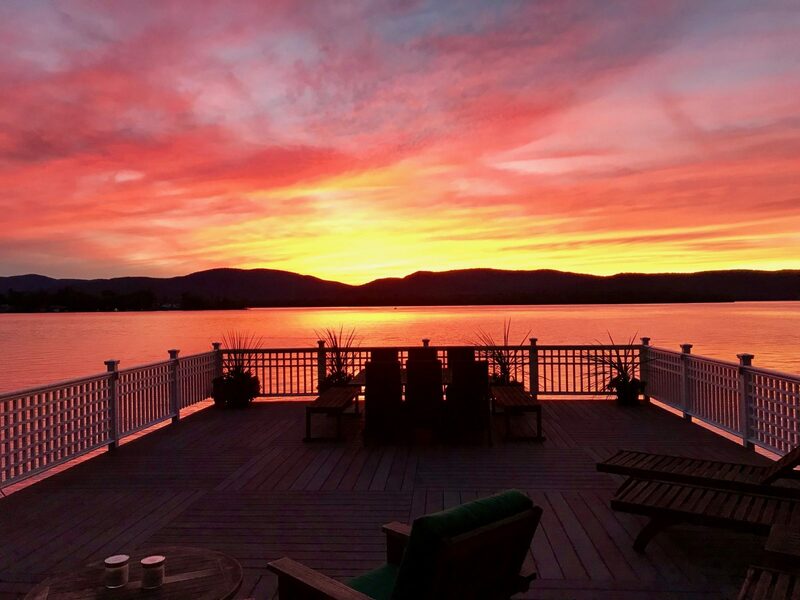 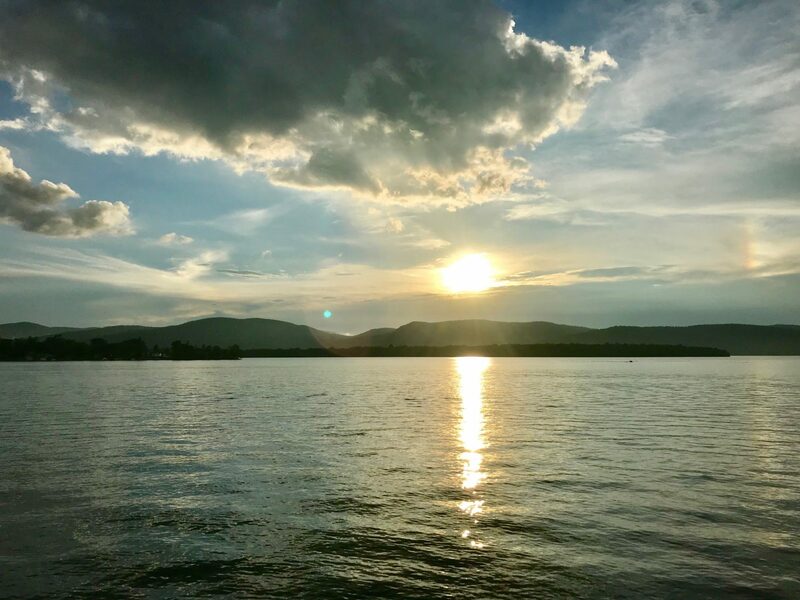 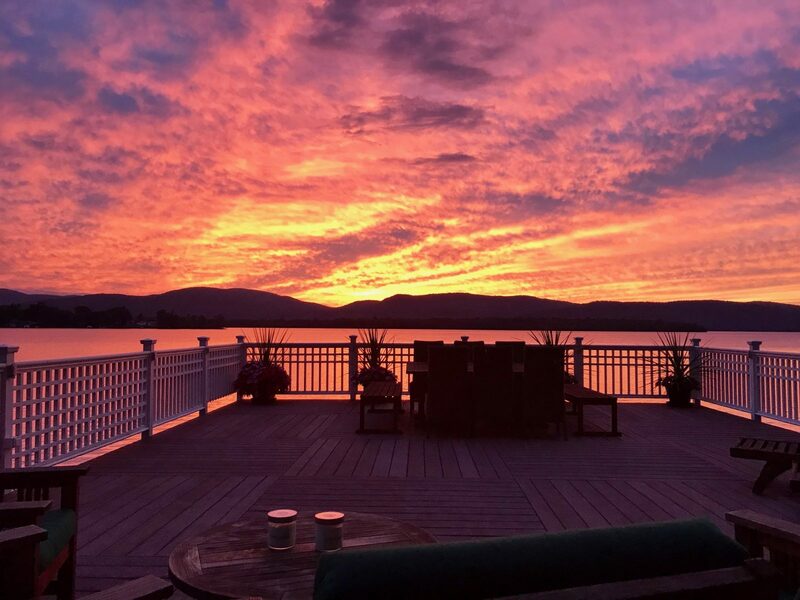 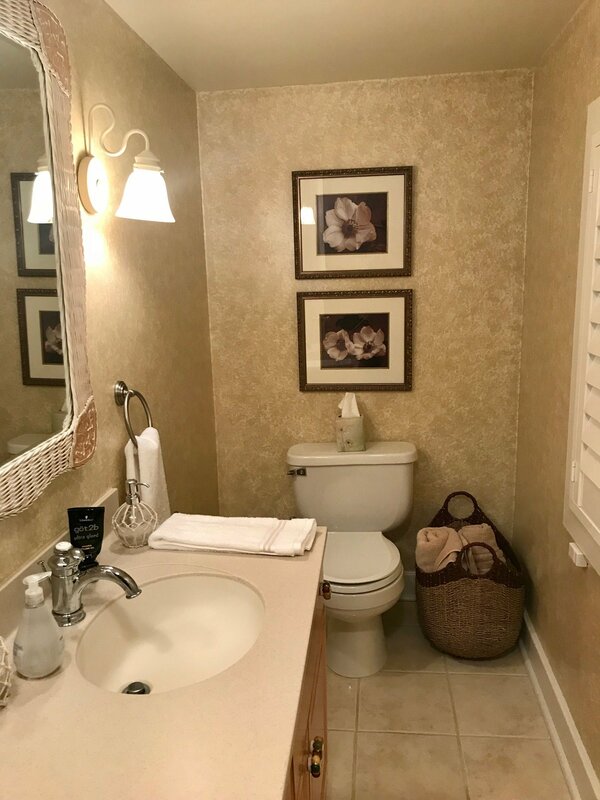 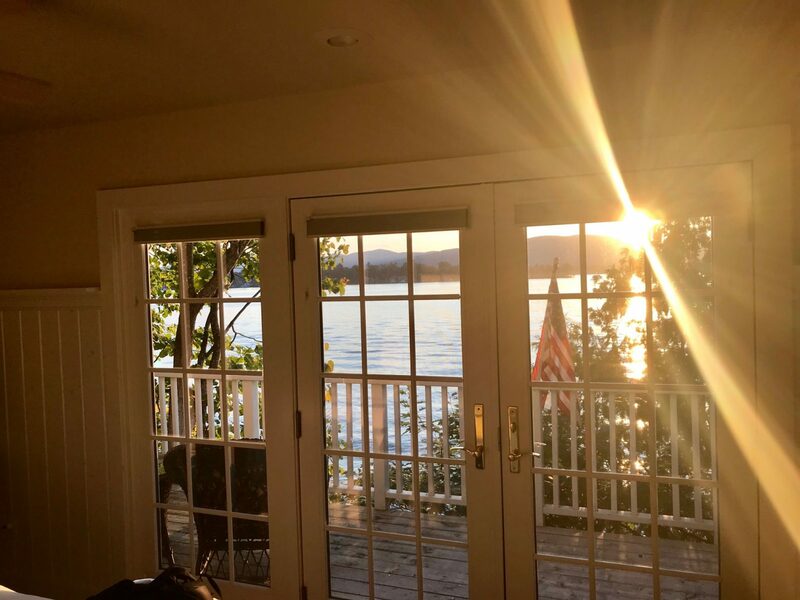 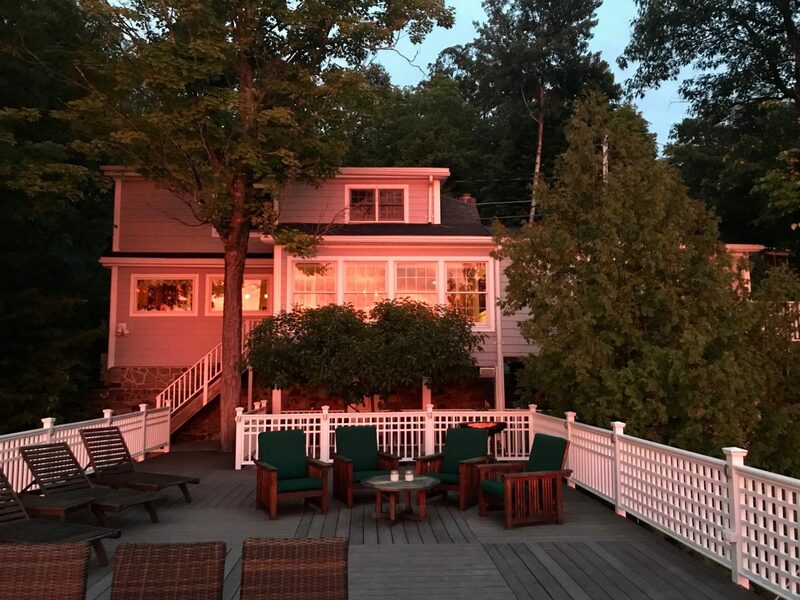 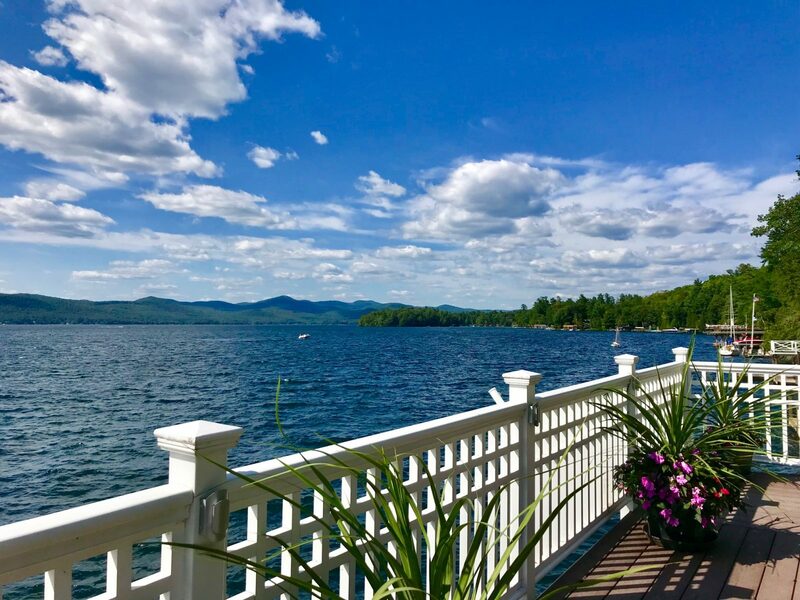 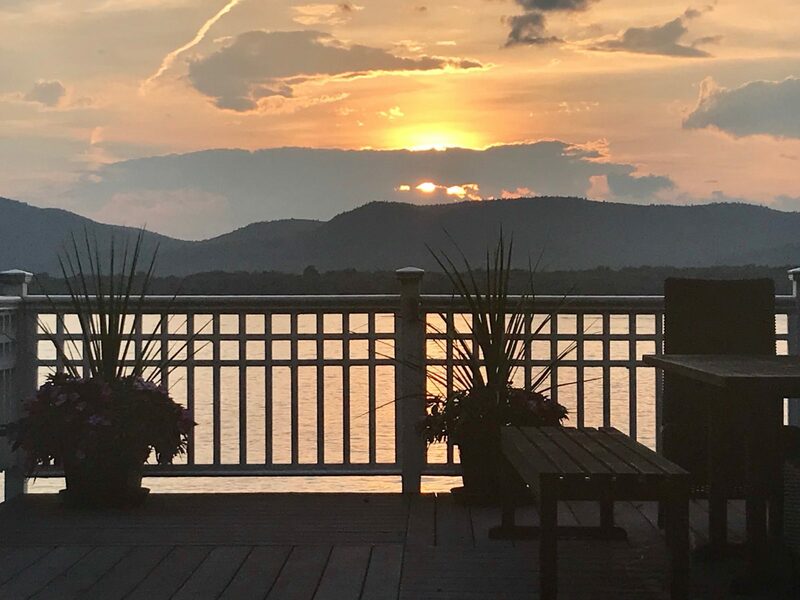 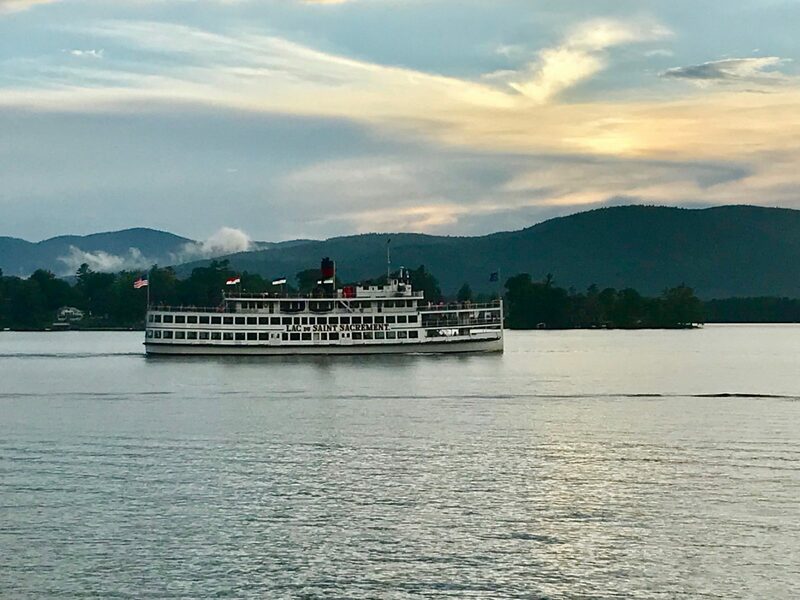 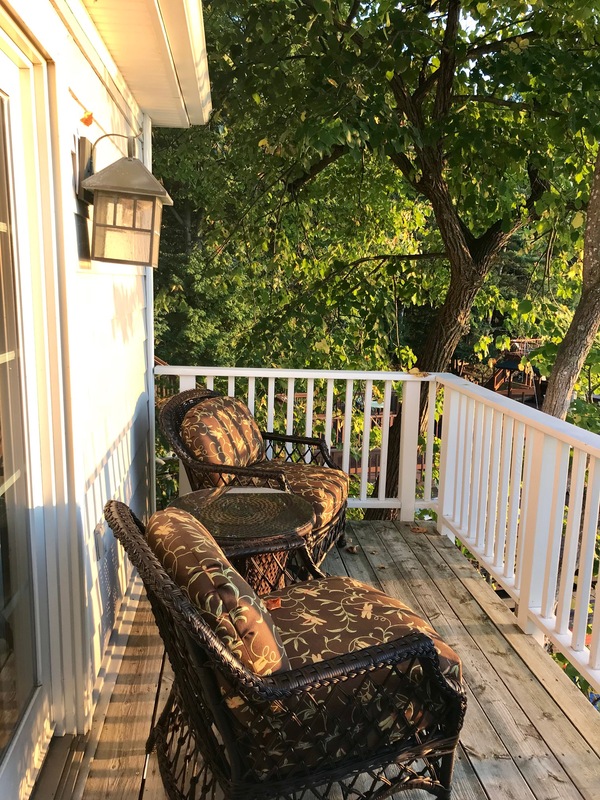 Fabulous sunsets from both house and sundeck, all rooms other than bathrooms and the pantry/laundry room with lakeviews. 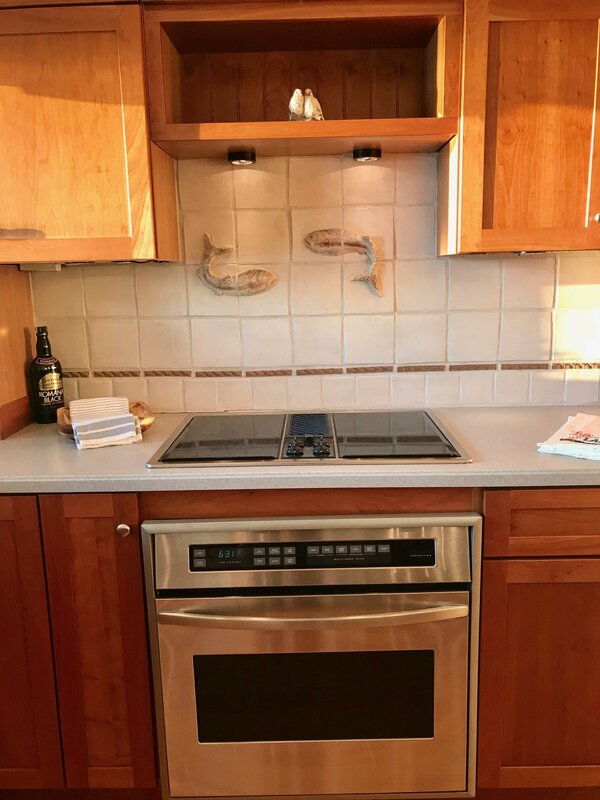 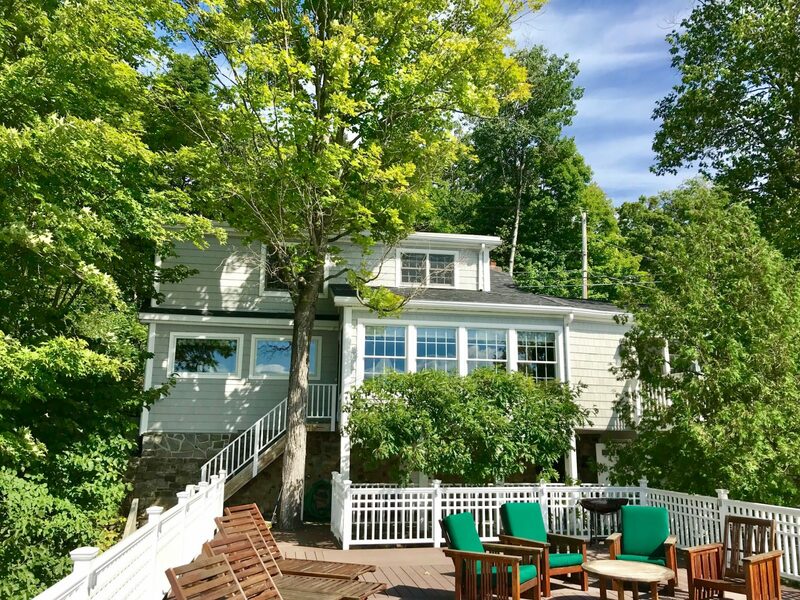 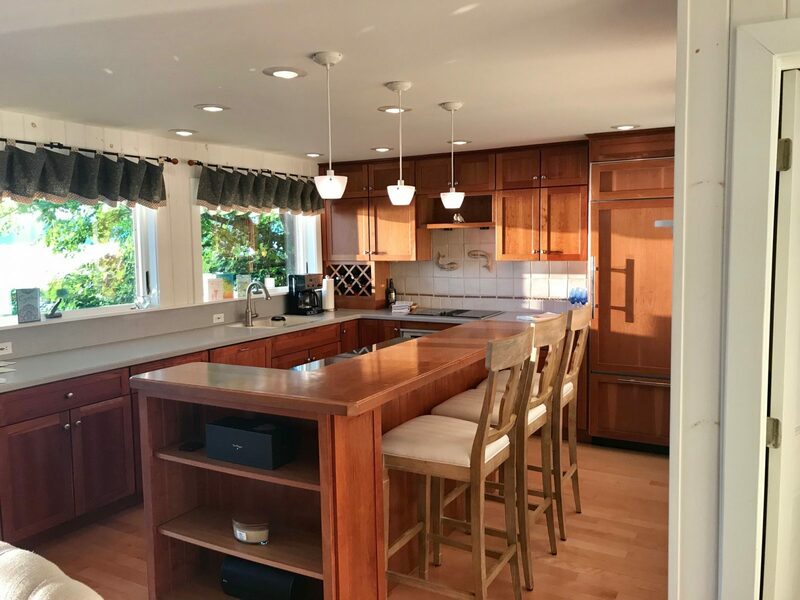 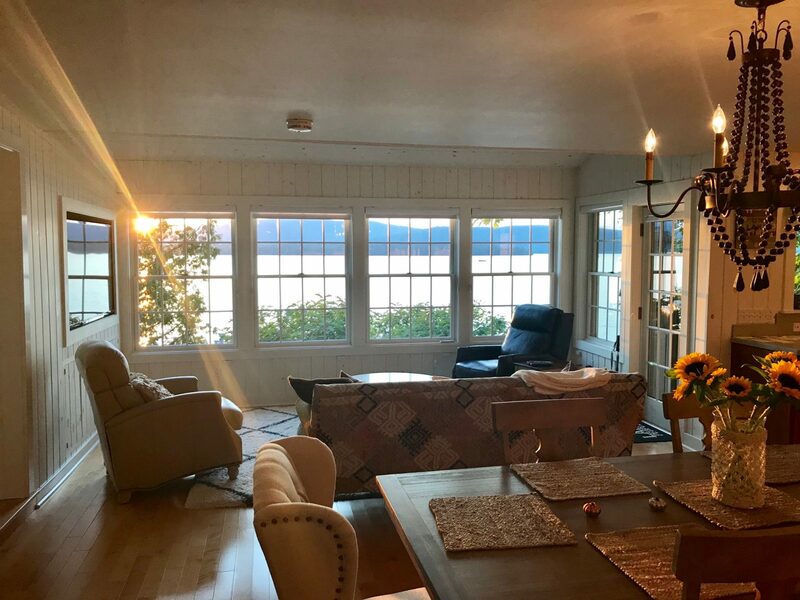 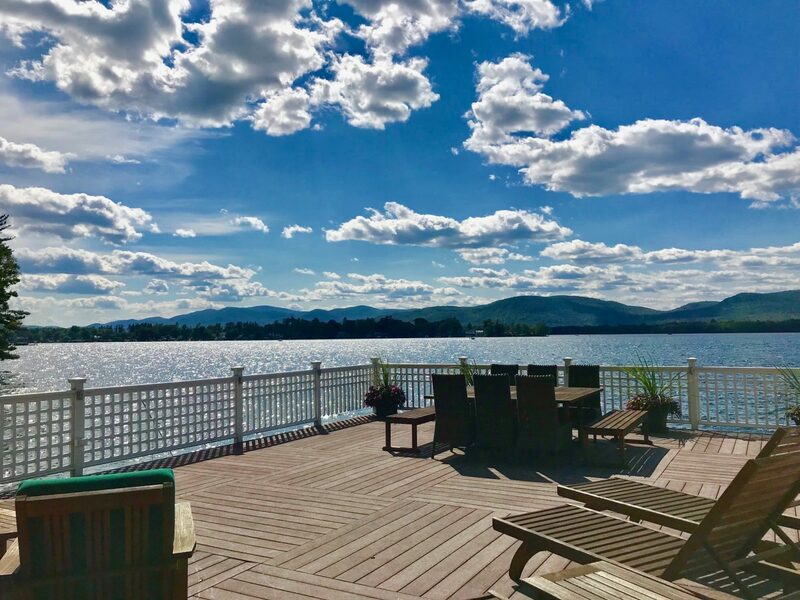 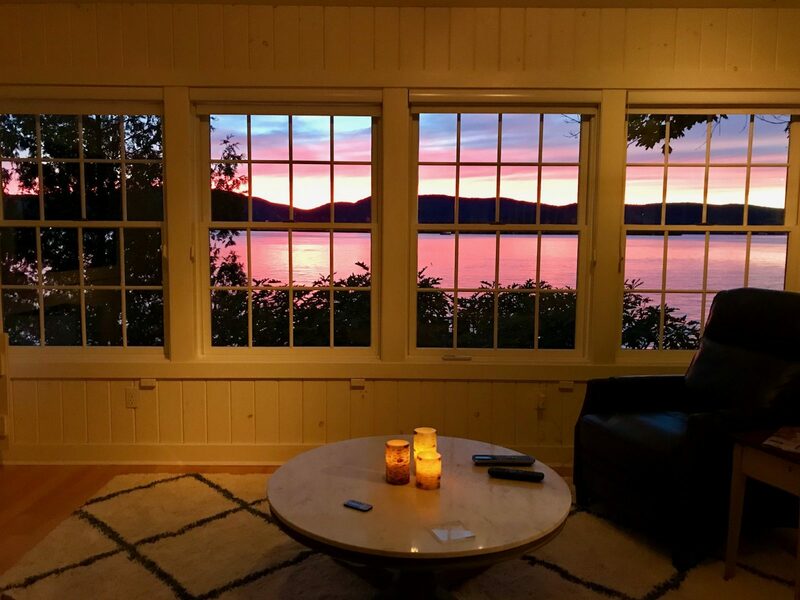 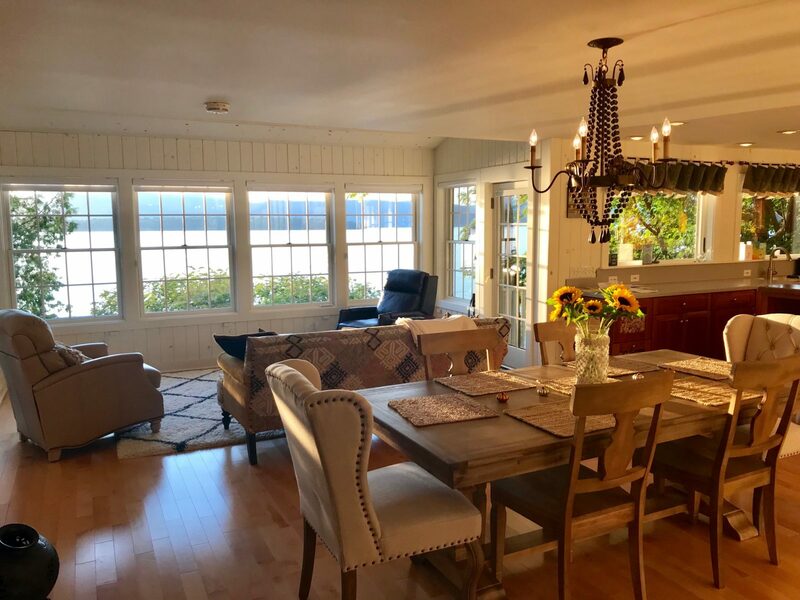 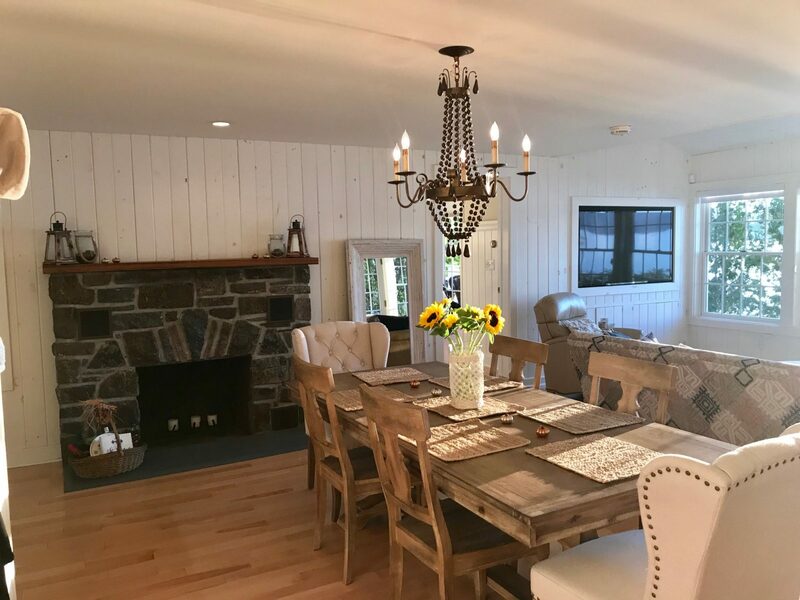 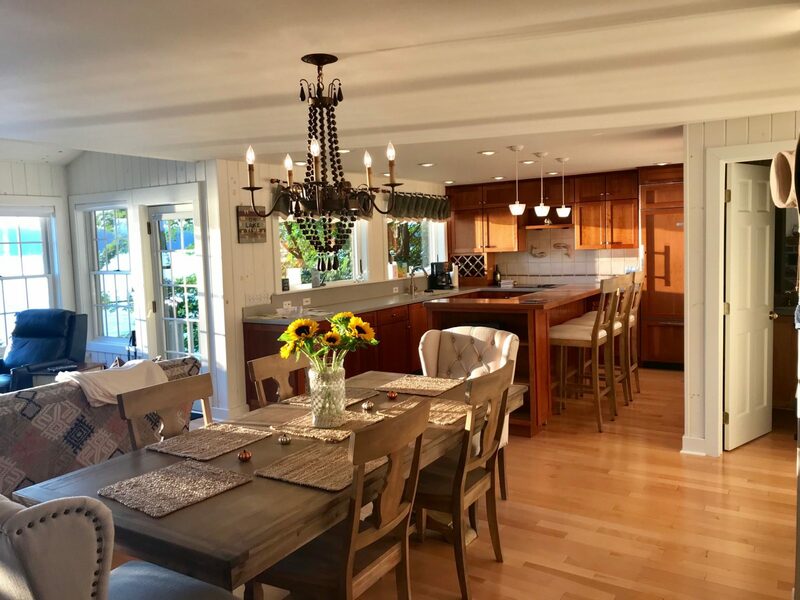 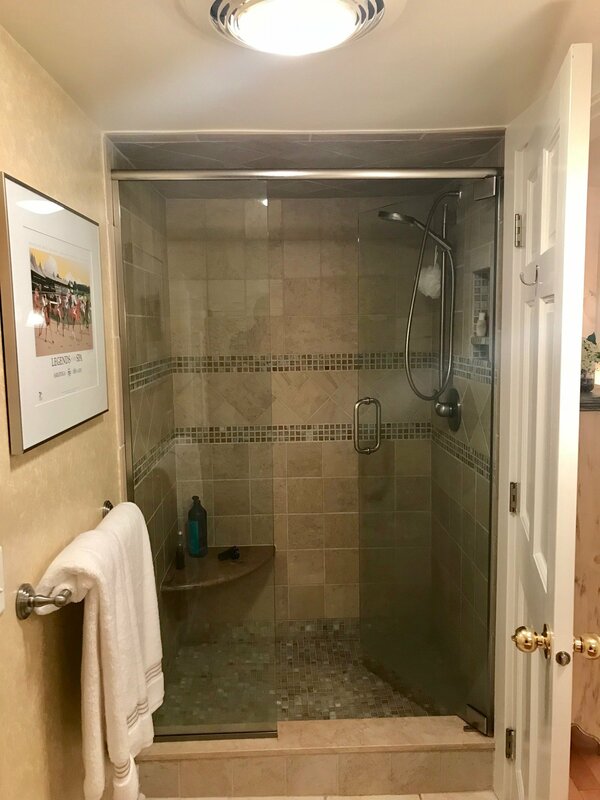 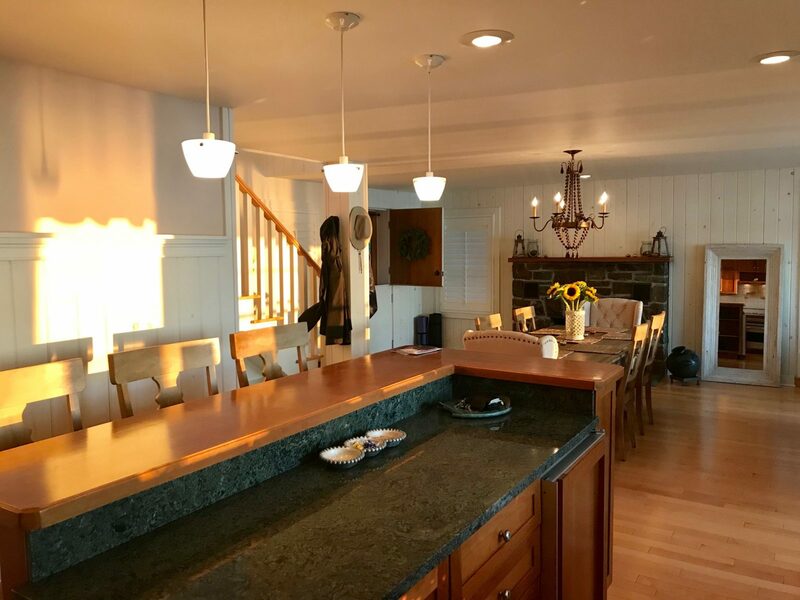 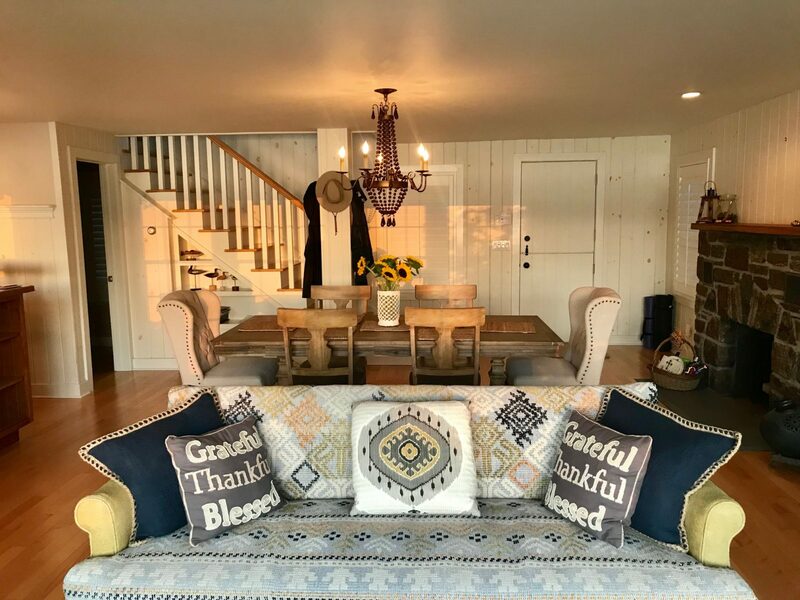 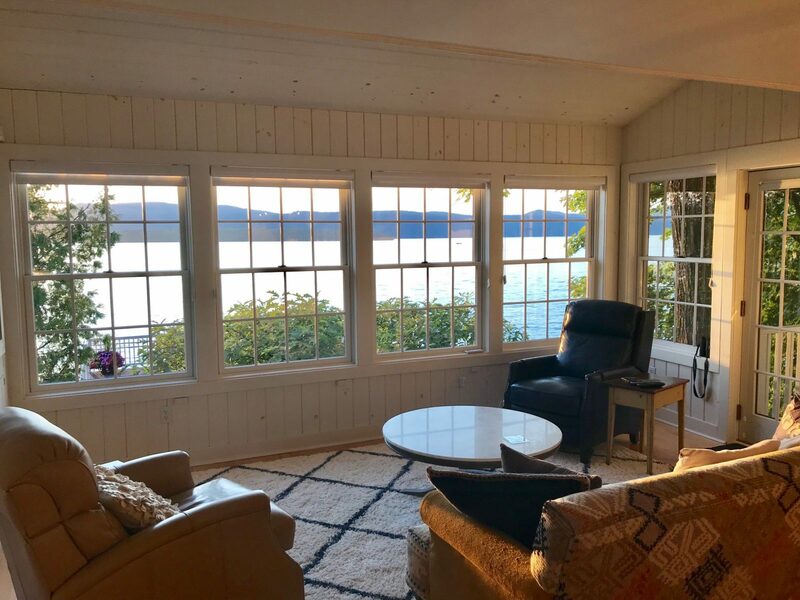 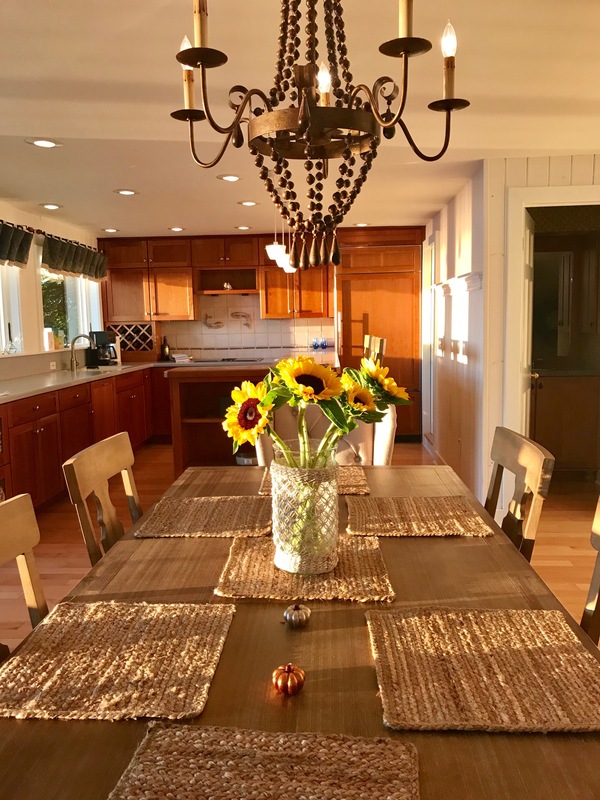 Great room with rows of windows providing expansive views, gas fireplace, well equipped kitchen, cuisinart coffeemaker, microwave, winecooler, dishwasher, washer/dryer, electric stove, Mitsubishi split ac/heat unit, uv water system, radiant heat, generator, stereo system. 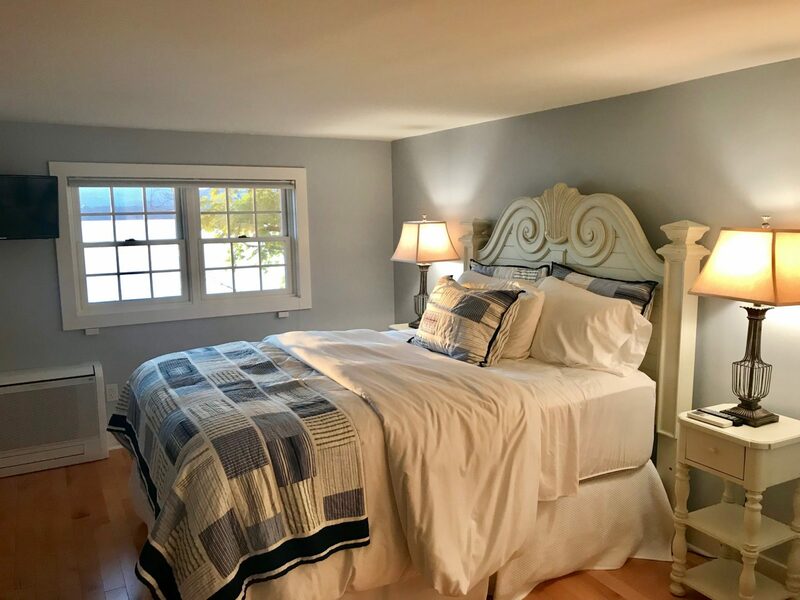 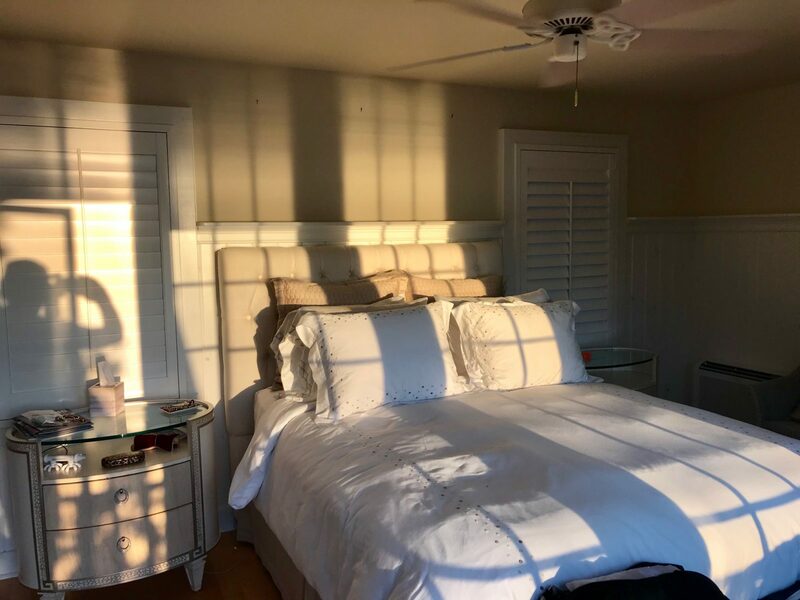 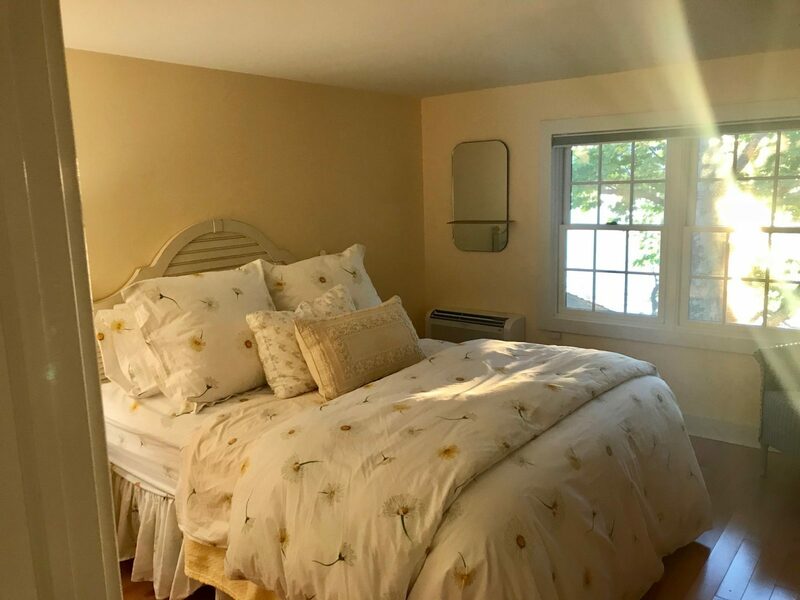 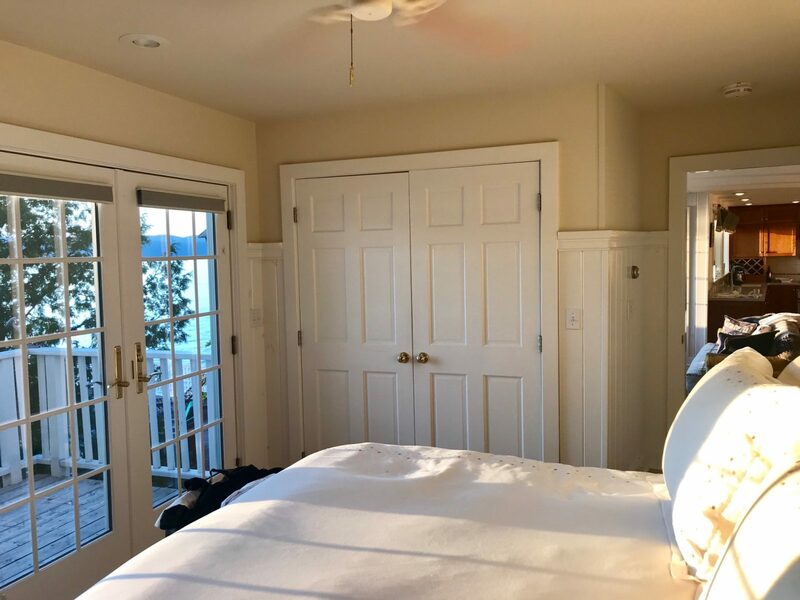 Master bedroom off the living room with private deck, queensized bed, lakeviews. 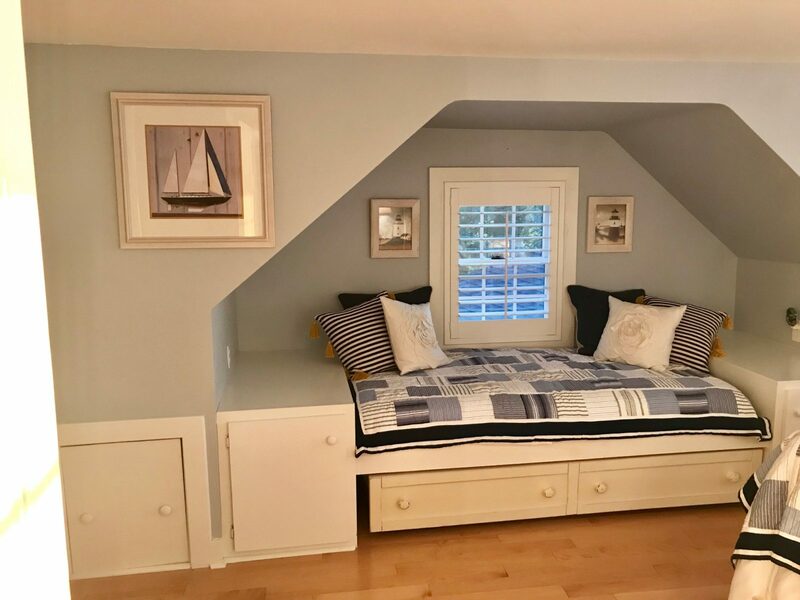 Upstairs there is a 3/4 bath, lakeview bedroom with queensized bed and large closet, a second bedroom with a queensized bed and also a trundle, lakeviews. 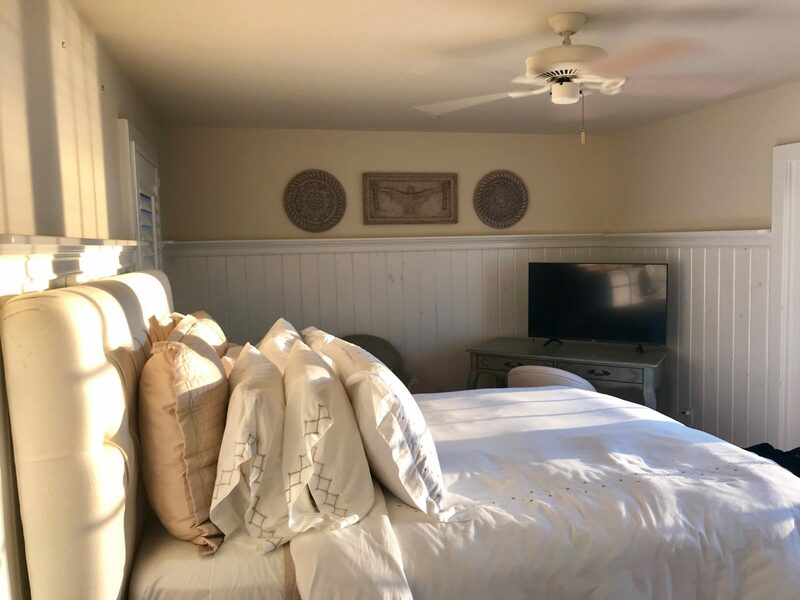 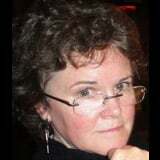 Flat screen televisions, cable on first floor, Roku on second floor, wifi. 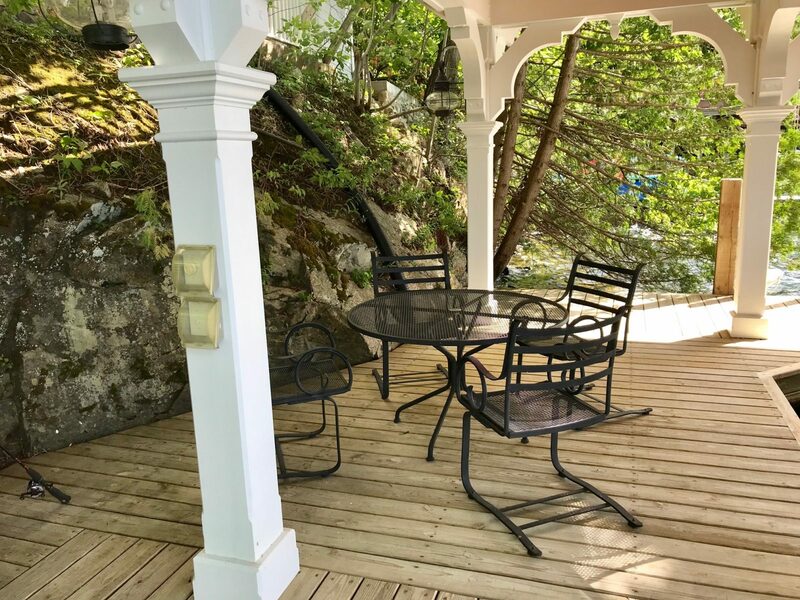 Stairs to sundeck, chaise lounges and table and chairs on sundeck, lighting, sheltered area under sundeck with table and chairs, covered porch, firepit. 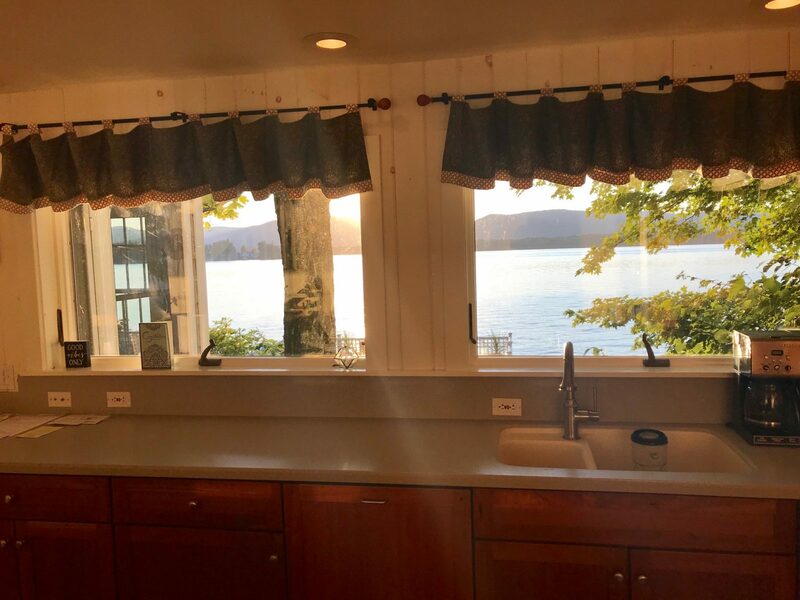 25' boat space on south size on whips. 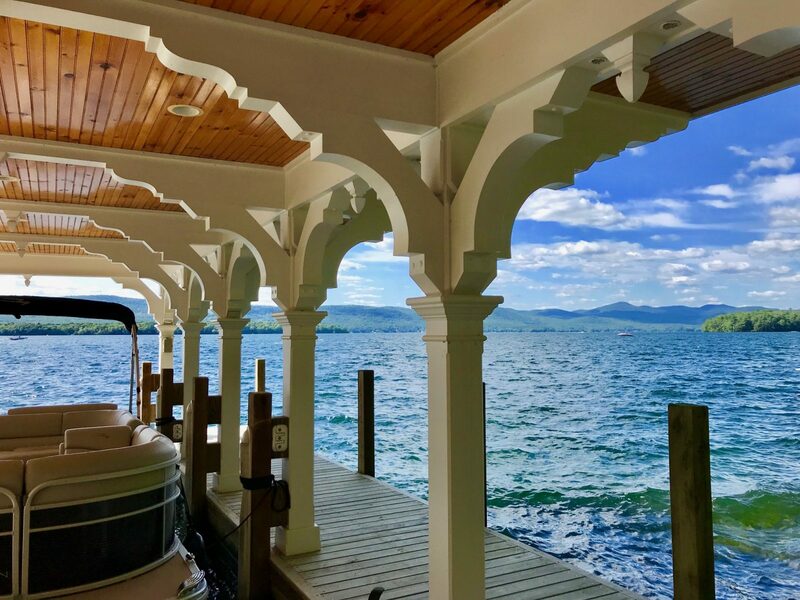 Rocky bottom in swimming area, ladders from lake.